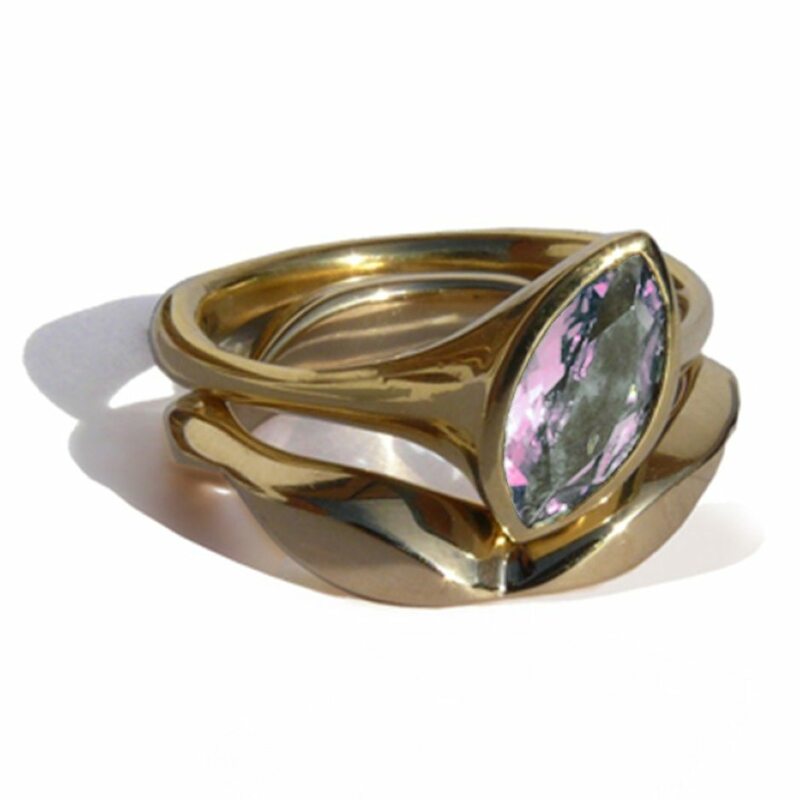 A pink tourmaline set within a 9ct yellow gold ‘Flow’ ring. Handmade in Yorkshire by Pamela Dickinson. These rings can be ordered in any size, please contact the gallery for details.